Crochet turtle blankets are quite in demand these days. Instead of buying one, you can easily try to you in crocheting these blankets at home for your kids. It is the perfect blanket project for the ocean and nature lover in your life. It also makes a great addition to a nursery. You can give these handmade blankets as a gift or keep for yourself. 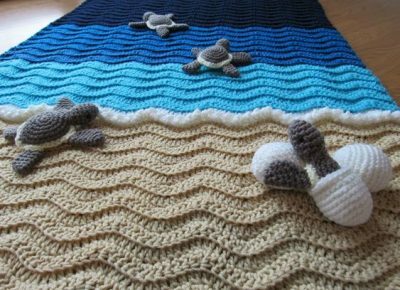 We have compiled some of the best and easy crochet patterns to make an adorable sea turtle blanket. These beach themed blankets are in rage these days. 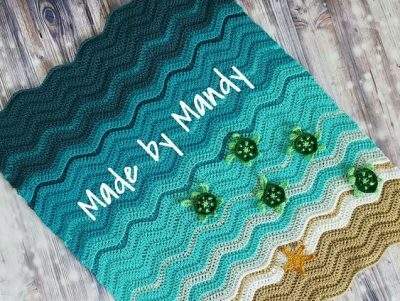 The cute turtle motifs bring a touch of whimsy to this crochet baby blanket. You can choose 3-4 colors of yarn to make a vibrant throw for your little angel. Follow the instructions in the linked tutorial to get step-by-step guidance. I love this wavy and rippled effect given on the blanket with turtles crawling on it. 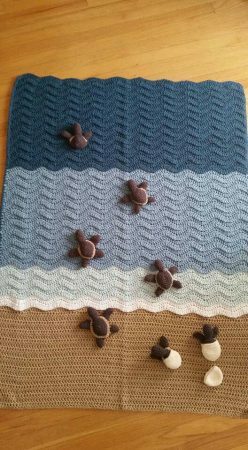 This tutorial has ribbed ripple stitch pattern and the basic pattern for a 10″ Turtle Beach square. You can increase and decrease the size of this as per your requirement. 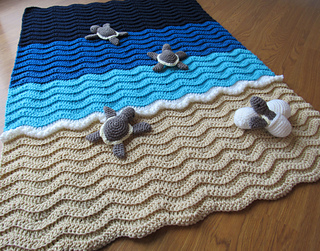 This blanket is quite a fun project to make for all crocheters. You can use brighter yarn colors too.